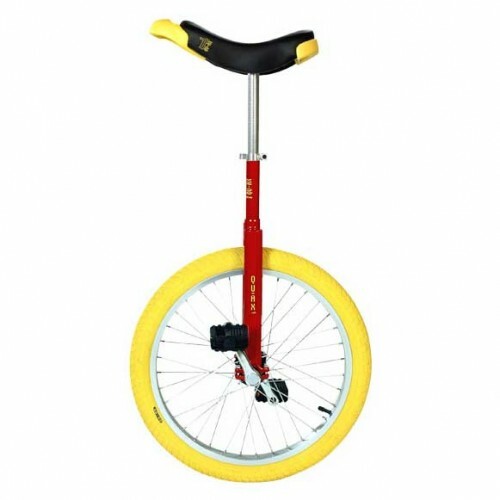 An excellent quality, good looking 20″ trainer from German Unicycle makers Qu-Ax. 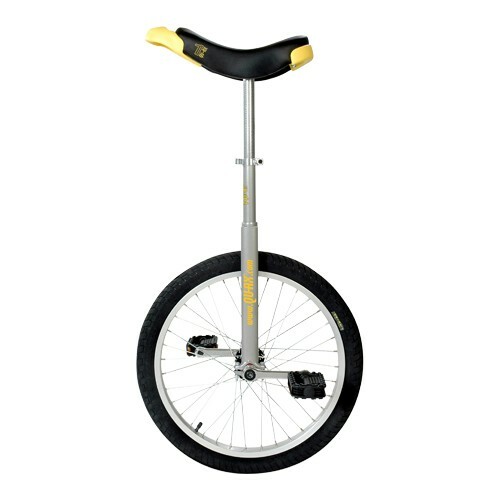 An excellent quality, good looking 20″ trainer from German Unicycle makers Qu-Ax. 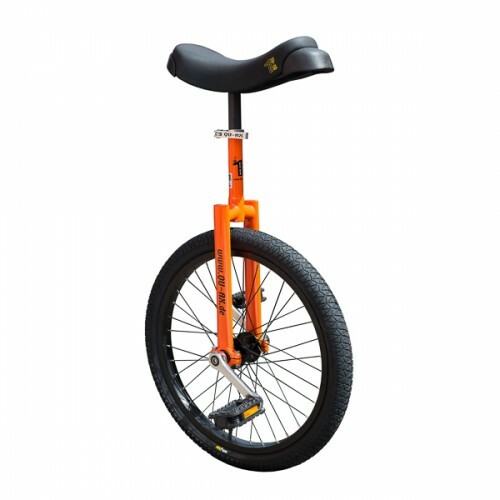 All Luxus unicycles come with a second shorter 200mm seat post which allows younger riders maximum growth range without the need to cut the saddle stem and buy another later (good news for parents)! 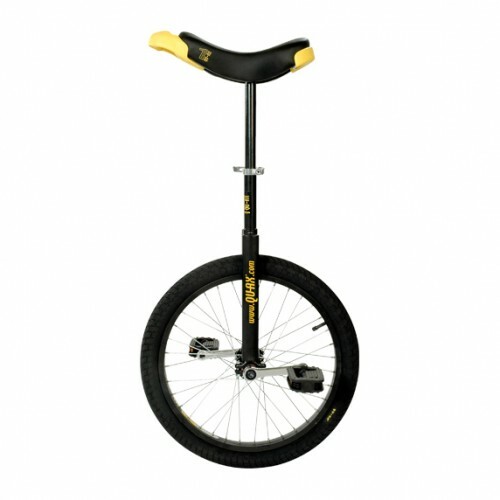 The flat crown forks and tough saddle handle also make the Luxus suitable for entry level freestyle riding. 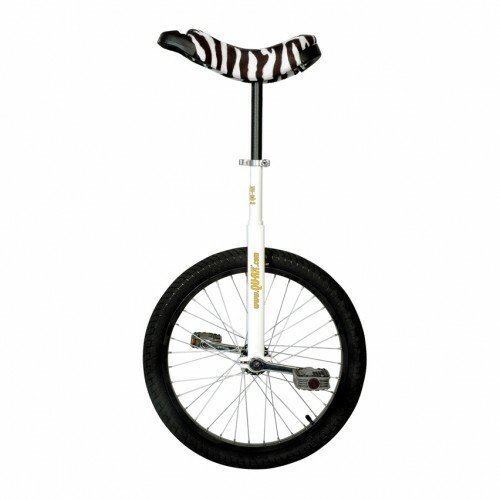 With the shorter stem fitted the Qu-ax 20″ trainer will fit a minimum inside leg of 62cm. (N.B crotch to floor – not trouser size). QU-AX offers unicycles in all sizes, colours – and for all purposes. 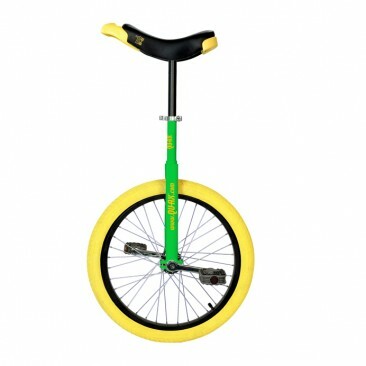 From 12″ to 36″, in red, blue, green, yellow, chrome, white, black orange. With or without brake, for on- and offroad, for indoors our outdoors. So it depends on you – where would you like to start?